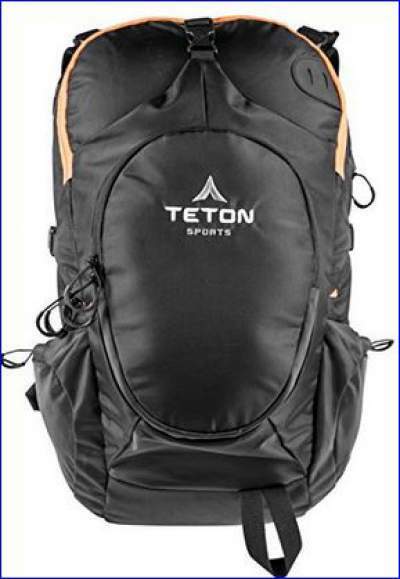 Teton Sports Rock 1800 backpack is a great lightweight versatile pack launched in 2016, very suitable for day trips and for around town use. Versatile pack for city and outdoor use. 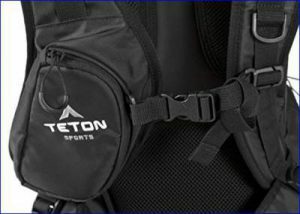 Teton Sports Rock 1800 is a panel type backpack, with a U-shaped zippered front/top entrance. The main compartment contains a hydration sleeve with a velcro hanger. This sleeve can also be used as a space for your computer when you use the pack in usual daily life. The hose port is on the left side only. Rock 1800 – front view. 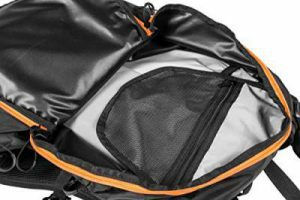 You will notice a separate zipper behind the sleeve, which allows you access to the section with the central aluminum stay, which you can remove if you need to do so. On each side of the pack, you have one compression strap with buckle. You can use it to cinch the pack, or to fix any elongated item which you store in the drop pocket below it. On the lower front section, you have one attachment loop. Higher on the front you have yet another attachment element. You can see them both in the picture. The pack comes with an integrated rain cover stored in a pocket on the bottom. Apart from this, the fabric of the pack itself is a water resistant 420 D Oxford material. It is abrasion-resistant and durable. You will notice that pulls on all zippers are really nicely designed and big enough to use them even with thick gloves on. The chest strap and the chest pocket. This pack has several pockets with quite unique features and construction. One stash pocket is on the front, with a buckle on the top, useful to stash any peace of clothes or a tarp for example. On top of this stash pocket, you have yet another rather deep zippered front pocket. They are visible in the first picture above. On the left side you have a drop pocket, and on top of it yet another zippered pocket. The drop pocket is there primarily to store a water bottle but you can put tent poles there as well, a tripod, or hiking poles. On the right side you have the same drop pocket and the zippered pocket, but here you also have an extra side zippered pocket with a vertically positioned entrance. The body of this side pocket is in fact inside of the main compartment, and you can see it when you open the main entrance. So you will not be able to store much stuff here when the pack is fully loaded. One extra zippered pocket is on the right shoulder strap, see the picture above. It is large enough for a smartphone, a camera, or a GPS device. It is with a microfiber inside, and surprisingly you also have an extra small mesh compartment inside of it. One small mesh see-through pocket with a key clip is inside of the main compartment, shown in the picture above. You will notice that it is on your way if you want to get into the sleeve behind where you will keep either your hydration bladder or your computer. So this can be a bit annoying. Rock 1800 – suspension system. The suspension is based on a single aluminum stay which is there to provide structure and stability and to transfer the weight to the hip belt. The padding on the back is nicely done, so you have two upper padded areas behind shoulders, and a generously padded lumbar section. Air flow circulation channels run vertically and to the sides of the back. The shoulder straps are well padded and equipped with load lifters. Here you have webbing loops for water hose, plastic D-rings for attachment, and an adjustable sternum strap. The hip belt is with rather thin fins, practically only a thick mesh. But a good thing here is that you can put it behind the lumbar padding. With the hip belt so tucked away, the pack transforms into an ordinary pack for around-town use and for commuting. The harness is not adjustable, the torso length is ideal for 19 inches (48 cm), but you can get a couple of inches more or less by using the load lifters and the usual adjustment points on the shoulder straps. The pack is truly designed with versatility in mind. So you have an outdoor tool as well as an ordinary pack for city use. Pity they did not add at least a few webbing loops on the bottom, such loops add no weight but increase the functionality of a pack. The attachment loop on the bottom is not accompanied with any webbing or bungee cord higher on the pack, so you might need to add something to the mentioned upper attachment element if you want to attach your walking poles there, or an axe. The side drop pockets are not stretch, and they are tapered toward the bottom. So when the pack is fully loaded, it may be hard to put a water bottle there. Note also that they have zippered pockets on them. So when these pockets are full, the effective space in these drop pockets become even smaller. The pocket on the right shoulder strap is in fact too big for such a position, and you rub it with the arm when you move. This can be irritating for some. So some of the features which you have here are indeed unique, but I am not completely sure that they are truly useful. 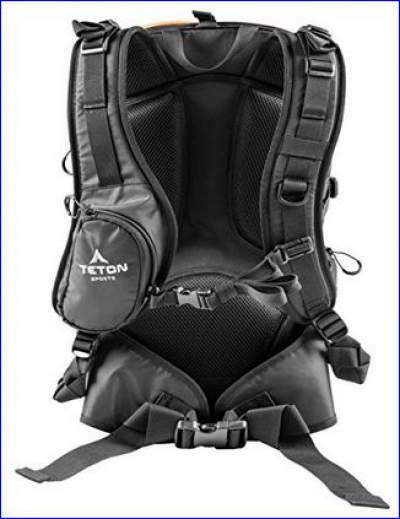 If you compare the price of the Teton Sports Rock 1800 and the other top brands’ packs in the comparison table below, you will notice that it comes with a price tag which is less than half of the prices of the other packs. This is definitely worth every attention. This is a rather new model but it has already received a number of reviews by Amazon customers, and the average rate for this pack is remarkable 4.5/5. Size: 20 x 11 x 9.5 in. Capacity: 1800 cubic inches (30 liters). Waist belt fit: 25.5 – 56 in (65 – 142 cm). Torso length: fixed 19 in (48 cm). Shell: 420 D black oxford 1000 mm WR. Hydration capacity: 101 oz (3 Liter). Integrated shoulder strap pocket for phone or other devices. Large external drop pouch perfect for storing gear. Single lower gear tie for carrying trekking poles. No-snag zippers with oversized pulls for quick easy access even while wearing gloves. Included rain fly in a lower pocket. TETON Sports limited lifetime warranty against defects in materials or workmanship. Shipping fees may apply. For international warranty claims (outside the United States), shipping and duty fees are the responsibility of the consumer. So what more to say about this Teton Sports Rock 1800 backpack? It looks great, and I love its design. It contains several unique features and you have bonus rain cover included. The price is absolutely great. Though some of its features do not look user-friendly to me, and perhaps the pack would be better without them. If you need a smaller pack from the same brand please see these Oasis 1100 and Oasis 1200 packs. 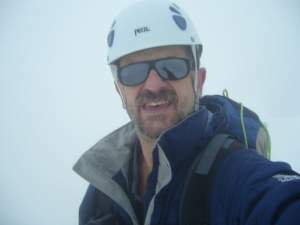 If you need a larger pack, many from the same brand are described here, so please see Talus 2700, Scout 3400, and Teton Sports Mountain Adventurer 4000 Backpack. Thank you for reading. It will be great to hear from you, there is a comment box below. Have a nice day.